Japanese Grand Prix takes place this weekend in Suzuka starting from Friday, 06 October 2017 and the big race will take place on Sunday, 08 October 2017. 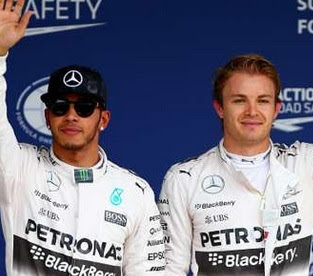 Its a massive race as far as drivers championship is concerned, with only four races to go after Japanese Grand Prix Lewis Hamilton leads the championship by 34 points going into this weekend’s race. If can he can outscore Vettel again this Sunday, he will be in a driving seat going into last four races of the season. Lewis Hamilton has turned the season around after summer break winning three back to back races and finishing second in Malaysia. He now leads the championship with a healthy 34 points lead ahead of Ferrari’s Sebastian Vettel who needs to outscore Hamilton in Japan to keep the title race alive going into last four races of the season. Red Bull duo of Daniel Ricciardo and Max Verstappen are also starting to have their say in the races while Valteri Bottas and Kimi Raikonned are going about their business un noticed. Japan Grand Prix 2017 Results: Once the race is over on Sunday, we will have official results right here plus full race replay video. We will finally try to put download links if we can not put the videos online here. So tune in here if you missed the live action of the race. Lewis Hamilton won the 2015 Japanese Formula 1 Grand Prix and he will be hoping to do the same in order to keep himself in the title race. So after the Malaysia grand prix Nico Rosberg has taken a major step towards his maiden world title but its far from done even with his 23 points lead with only five races to go. Red Bull had gotten the better of Ferrari in the later part of the season and both of their drivers are extremely confident at the moment. It will be the 27th F1 grand prix at the Suzuka circuit and 31st overall in Japan where McLaren has been the most dominant team winning 10 grand prixs just ahead of Ferrari’s 9. Lewis Hamilton will be hoping to win his fourth Japanese grand prix and third successive having won back to back in 2014 and 2015. While Nico Rosberg started on pole position in both of the last two Japenese grand prix but still looking for his first win. 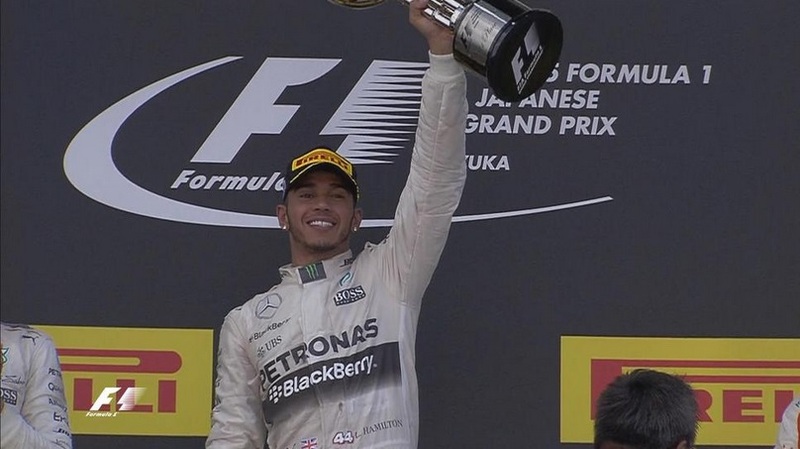 Japanese F1 Grand Prix 2015 Results: The race results of Japan grand prix will be placed below after the sunday’s race while if you missed the live action you can always tune in here for extended replay footage of the entire race right here.